The use of solar thermal is to use heat energy obtained from solar radiation to heat a fluid, depending on its temperature, is used to produce hot water or even steam. The use of photovoltaic solar energy is through the direct conversion of solar energy into electricity through the called photovoltaic effect. This transformation is accomplished by "solar cells" which are made from semiconductor materials (eg, silicon) that generate electricity when solar radiation impacts against them. Isolated, to generate electricity in remote locations for self-consumption. It is very common that these facilities are combined with photovoltaic panels. 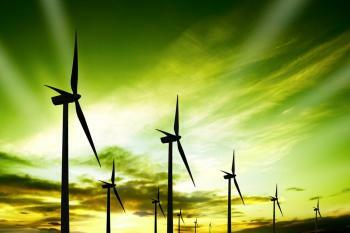 Windfarms, formed by a group of wind turbines, to sell the electricity generated to the network. The current technological development and greater knowledge of wind conditions in different areas is allowing the installation of wind farms connected to the grid in many regions around the world. Harnessing the potential energy of water from a jump to produce electric energy is what is known as hydraulic power. The water drives a turbine whose rotation is transferred via a shaft to a generator. It is considered that this type of energy is renewable if the power is less than 10 MW (small hydro power). Flowing water stations: those that capture a portion of the flow of a river and lead to the plant to drive a tubine and generate electricity. Then, this flow is returned to the river. Centrals on the foot of the dam: Those situated downstream of the dams for hydroelectric purposes or other purposes as water supply or irrigation populations. They have the advantage of storing energy (water) and to use it when it is most needed. Biomass is an energy source based on the use of organic materials of vegetable or animal origin, including products and by-products resulting from its processing. Forest residues, woody and herbaceous crop residues, waste from various industrial processes, energy crops, organic materials contained in municipal solid waste, biogas from livestock waste or biodegradable waste: Under the heading of biomass energy materials of very different kinds are collected industrial facilities, the treatment of urban wastewater and landfill, etc. May also be included under the heading of biomass, biofuels, which are mainly used in transport. Domestic and industrial applications which work by direct combustion of biomass. Applications linked to the emergence of new resources and new processing techniques, such as gasification and pyrolysis of biomass. The seas and oceans are immense solar collectors which can extract energy from various sources (waves, tides and thermal gradients). The energy released by the seawater in their movements rise and fall of the tides (ebb and flow) is used in tidal power stations, passing the water through hydraulic turbines. The wave energy is produced by winds and very irregular. This has led to many types of machines for harvesting. Finally, ocean thermal energy conversion is a method of converting into useful energy the temperature difference between the surface water and water that is 100 m deep. Is sufficient to use a difference of 20°C. The advantages of this energy source is associated with a permanent and benign temperature swing from the environmental point of view. Geothermal energy is the manifestation of the thermal energy stored in rocks or water which is at elevated temperature in the interior of the earth. For the exploitation use in areas with special thermal conditions, such as volcanic regions, It is circulated therein a fluid which carries to the surface the heat energy accumulated as heat in hot spots. The energy generated depending on the temperature (high, medium or low) is exploited, either to produce electricity or to heat water and heating. Geothermal energy has the major advantage that their environmental impact is minimal, and have yields that allow you to compete with oil. But its main disadvantages are that require large investments and geothermal fields are relatively scarce and often located in disadvantaged areas.